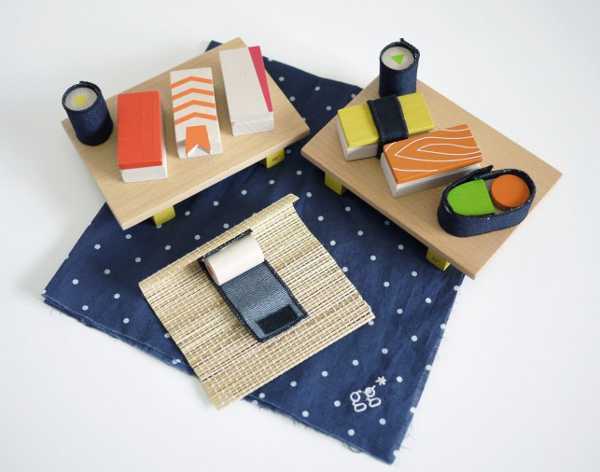 It never ceases to amaze me how many little children just love sushi, and those same kids would just adore this toy sushi set. Over the past few months, I’ve written many, many posts on wooden toys. But to say they’re making a comeback would be an untruth. I really believe wooden toys have never gone out of favour with either parents or children. They are durable, beautiful and, in this modern age, made using sustainable sources. Here’s a wonderful example of what creations can be carved from wood. 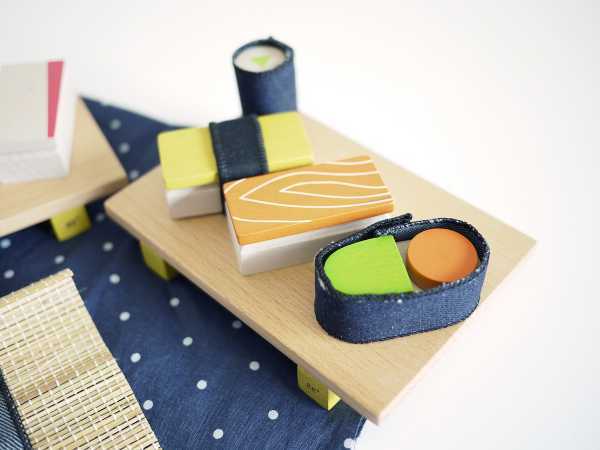 This sushi set hails from Kukkia, and looks like it would be a real time stealer. 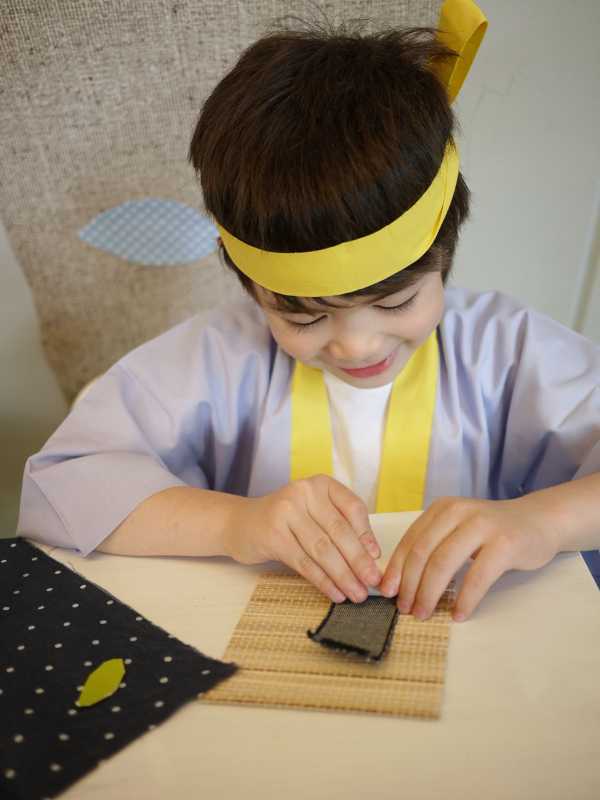 There are so many bits and pieces to play with and sushi delicacies to create. The kit includes five nigir sushi tuna, salmon, shrimp, yellowtail, egg and even some of the more unusual sushi fare like sea urchin. 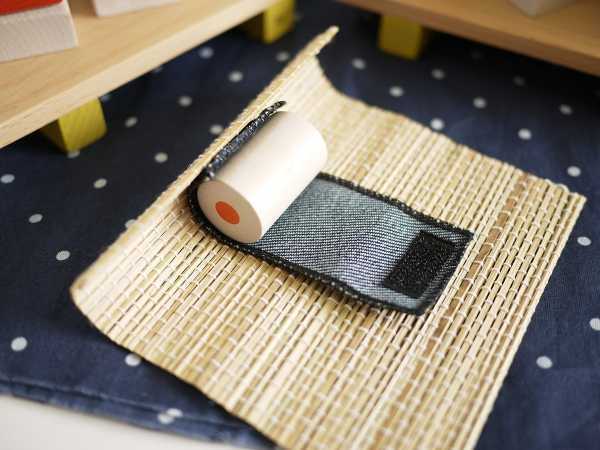 There are velcro and magnets to help hold things together, and it all comes wrapped in a cloth which can be made into a headband for an authentic sushi chef touch. You can purchase a set from Ninetonine for €46, just contact them directly about delivery to Australia.